Its facade spreads up to 300 meters long, and its total area is equivalent to 3,6 times Tokyo Dome's surface. Given the incredible number of 416,000 passengers commuting from or to Tokyo Station every day in 2013 (a lower number than that of Shinjuku Station), it is rare if travelers in Japan do not cross this major transportation hub at least once. 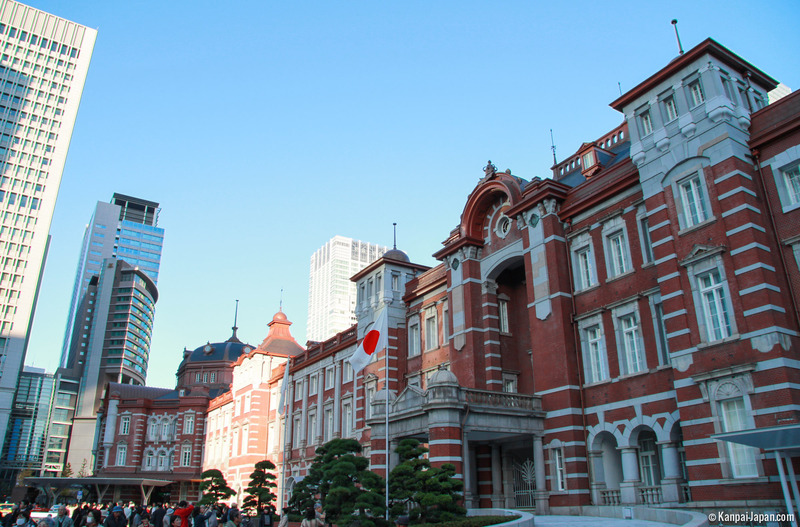 Built between the Meiji and Taisho eras, Tokyo Station is a European-style architectural legend (designed by Kingo Tatsuno) that mobilized 740,000 workers, more than eight millions of its famous red bricks and took six years of construction. Under the name of "Central Station" on its opening day in 1914, it comprised only four lines and 4,600 passengers crossed it every day. 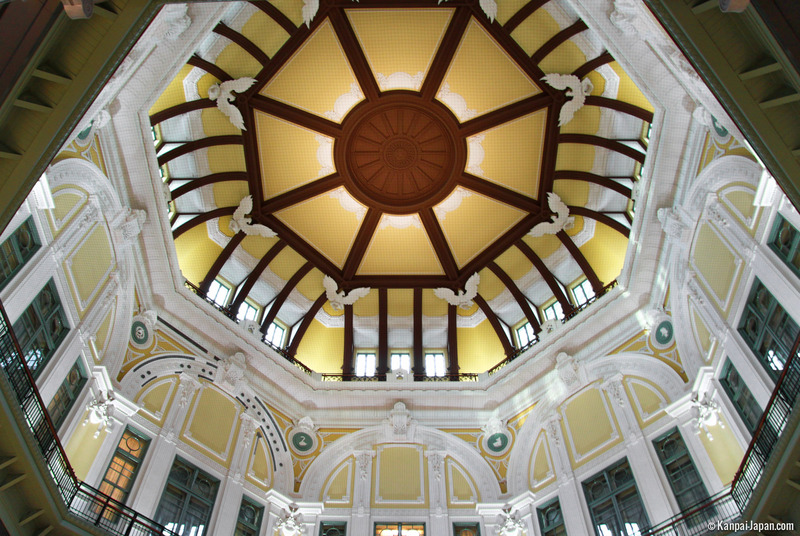 A symbolic building with its typical facade, its inside dome and ornaments were damaged twice: during the Great Kanto Earthquake in 1923 and the Second World War bombings. It also witnessed the murders of two Japanese prime ministers during its history. Despite the loss of one floor during its renovation in 1947, another restoration, which was decided in the early 21st century, allowed it to regain its former glow. 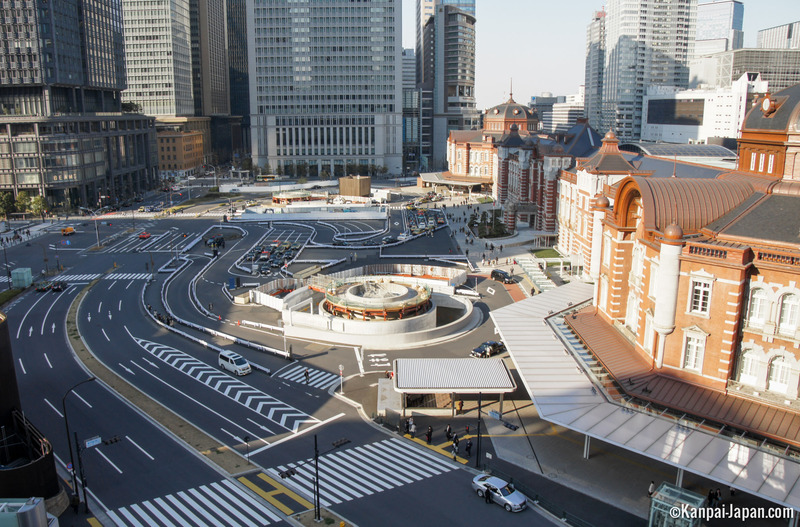 Renovation on the Marunouchi side and to the station's earthquake-resistant standard, completed in October 2012 after five years of works, cost in total 75 billions of yen (~US$ 670,792,787.60). 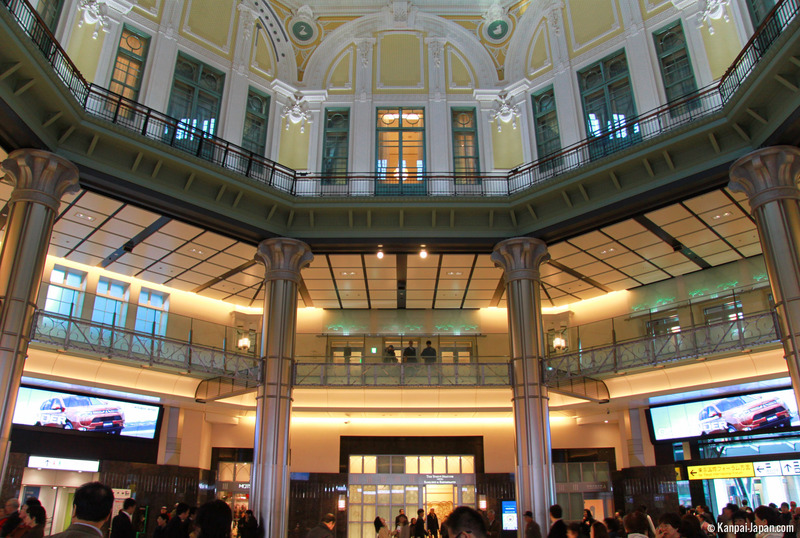 On the opposite side, Yaesu "in the south" also underwent rehabilitation, with different buildings and passages under construction, as well as the installation of huge surrounding glass canopies. Note that in early September 2015, Mitsubishi Estate announced the construction of the tallest building in Japan, 390 meters high (which is 90 more than Abeno Harukas in Osaka) with 66 floors. However, it will not be finished until 2027. Underground, six nearby stations are accessible through a huge maze of underground passages, including one longer than two kilometers. A project to group bus lines, connected to these galleries, is also under construction in order to better reach them. Tokyo Character Street, an alley dedicated to pop culture amateurs with official stores: e.g. Pokémon Store, Hello Kitty Shop, Lego, Ultraman, Snoopy, NHK/Nippon Terebi and a Donguri Ghibli shop, etc. Tokyo Ramen Street is dedicated to Japanese cuisine; it features many restaurants, takeaway food stalls and even a store devoted to seasonal Kit Kat. The station's surface also includes an art gallery (since 1988) and diverse services, e.g. 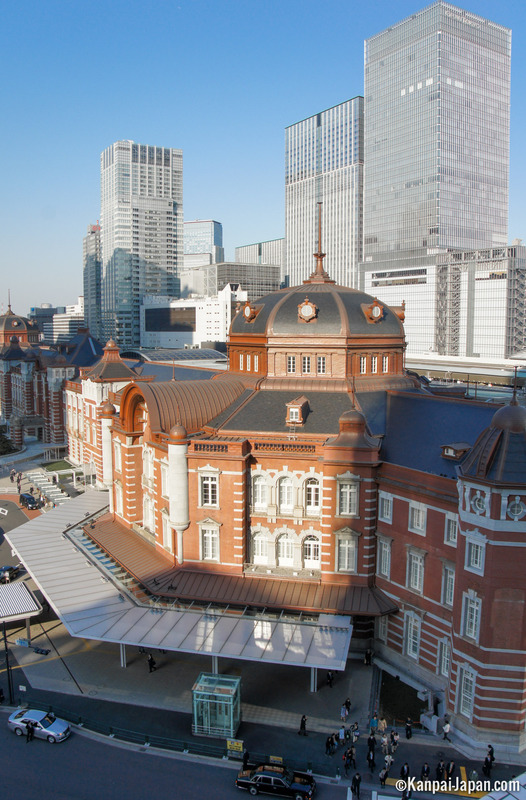 a vast area of coin lockers and the Tokyo Station Hotel, a luxury establishment that celebrated its centenary in 2015, with night prices starting from ¥40,000 (~US$ 357.80) for one room only. At night, illuminations adorn the main station’s esplanade, where an endless ballet of taxis transport passengers on their way to departure from the station or who have just arrived from their commutes. 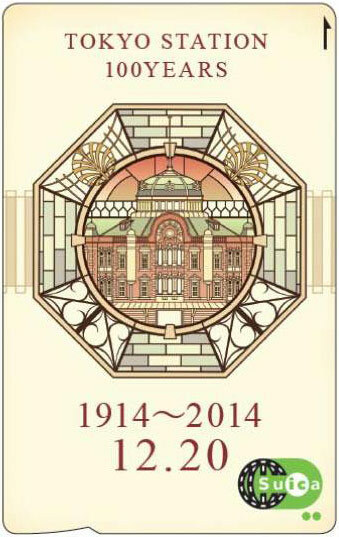 To celebrate its centenary, a number of festivities have been set up around New Year 2015, with special and limited editions of various products (including a Suica card that made a splash) or a Yamanote line train fully decorated in the colors of the station. 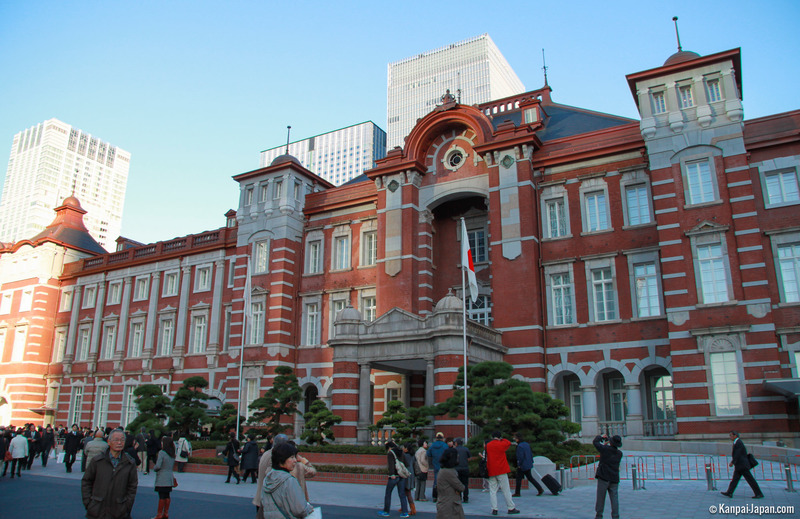 For the record: a (smaller) replica of Tokyo Station exists in Fuyaka, Saitama Prefecture. The original Fuyaka Station was erected in 1883, but the current building only dates back to 1996. To get there, the direct train from Tokyo takes about one hour and a half.